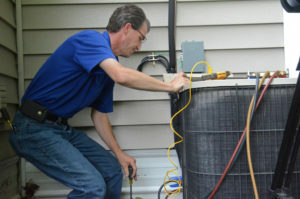 Are you trying to figure out what you should do about your air conditioning repair and maintenance problems? Perhaps you’re looking for some helpful tips that can get you out of the current problems you’re facing regarding your HVAC systems. Whatever the case may be, Houston Admiral Services is back at it again to help you understand what to do using our helpful blog posting. Check out this one! There are some at home measures you can take if you’re looking for ways to make sure your air conditioning doesn’t go out. Are you making sure you’re replacing your filters every so often? This is something that can stop you from getting the maximum performance out of your HVAC systems, but we’re here to help you. In addition to this, make sure you’re wiping down the outside of your vents. Are you passing by your hallway everyday and you see a large grated, ventilation piece that’s coated with dirt and filth? While it might not seem like a big deal, every little bit of sanitation helps your system run better. It also keeps you and your loved ones’ lungs in much better condition. Embrace this by cleaning your vents whenever you notice some type of buildup. While at-home cleanings are always great, you can count on a company like Houston Admiral Services to give you a more thorough breakdown of what’s going on with your air conditioning system. We have 31-point detailed inspections that over every inch of your HVAC. This gives us the peace of mind we need when we let you know that everything’s clear and you’re ready to go with a company like us on your side, your systems will be good to go in no time. Houston Admiral Services is a great place to be when you don’t feel as though you now what to do to handle your own air conditioning repairs. Our pro team of expert technicians are masters of their craft, and you can count on them whenever you need some help. Even though this is holding you back currently, you’ll be able to count on the pros we have on hand. Call 281-876-9400 today or a free service estimate before you get too deep into your HVAC problems. Our technicians are ready to be dispatched to your location to check out the problem and see what we can do to fix it.